Narendra Dabholkar was a physician who tried to help his people see the danger of believing in sorcerers, gurus, and magical treatments such as animal sacrifices or killing infants as cures for their illnesses. After 30 years of educating people, Dr. Dabholkar was recently killed for his efforts. ESL Voices Lesson Plan for this post with Answer Key. For nearly three decades, an earnest man named Narendra Dabholkar traveled from village to village in India, waging a personal war against the spirit world. If a holy man had electrified the public with his miracles, Dr. Dabholkar, a former physician, would duplicate the miracles and explain, step by step, how they were performed. If a sorcerer had amassed a fortune treating infertility, he would arrange a sting operation to unmask the man as a fraud. His goal was to drive a scientist’s skepticism into the heart of India, a country still teeming with gurus, babas, astrologers, godmen and other mystical entrepreneurs. That mission ended Tuesday, when two men ran up behind Dr. Dabholkar, 67, as he crossed a bridge, shot him at point-blank range, then jumped onto a motorbike and disappeared into the traffic coursing through this city. 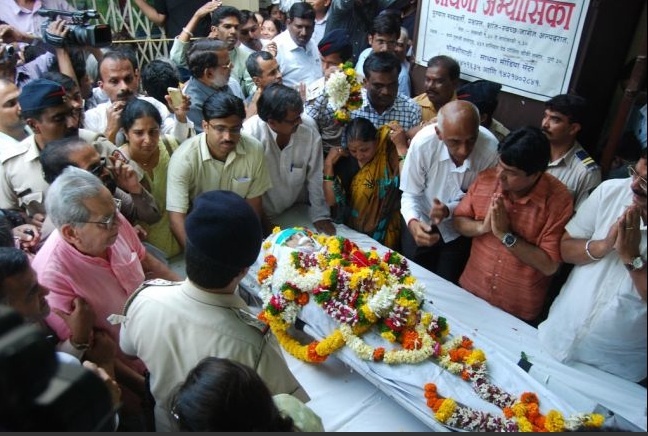 Mourners pay their respects over the casket of Narendra Dabholkar, Global Post. Dr. Dabholkar’s killing is the latest episode in a millenniums-old wrestling match between traditionalists and reformers in India. When detectives began putting together a list of Dr. Dabholkar’s enemies, they found that it was long. He had received threats from Hindu far-right groups, been beaten by followers of angry gurus and challenged by councils upholding archaic caste laws. His home state, Maharashtra, was considering legislation he had promoted for 14 years, banning a list of practices like animal sacrifice, the magical treatment of snake bites and the sale of magic stones. The killers left behind a few pieces of evidence. Surveillance cameras show two men lurking around a bridge for nearly an hour before intercepting Dr. Dabholkar . With his unfashionable glasses and mild smile, Dr. Dabholkar fell into his region’s tradition of progressive social movements. An atheist, he quit practicing medicine at 40 to devote his life to activism. The room where he worked was bare but for a framed quote from Mahatma Gandhi. He was active on many fronts, from women’s rights to environmentalism, but the guru-busting received the most attention. Dr. Dabholkar gave a speech [in which he said] I am not saying there is no God. Believe in God. But do not keep any superstitions in your heart. Only God is in your heart. Not 50 feet away, Kumar Shankar was offering palm readings in the same spot where he has worked since 1987. He sat cross-legged and barefoot, in a vest of rough homespun fabric, and was not especially bothered by the challenges of secularists. A reading was 60 rupees, about $1. Real or Fake? Gurus and mystics in India. abcnews. Materials: Student handouts (from this lesson) and access to news article. Objective: Students will read the article with a focus on improving reading comprehension and learning new vocabulary. At the end of the lesson students will express their personal views on the topic through discussions, and writing. Directions: Ask students to read the title of the post, and of the actual article they are about to read. Then, have them examine the photos. Based on these sources, ask students to create a list of words and ideas that they think might be related to this article. Narendra Dabholkar traveled from village to village waging a personal war against the spirit world. If a sorcerer had amassed a fortune treating infertility, Dr. Dabholkar would arrange a sting operation to unmask the man as a fraud. His goal was to drive a scientist’s skepticism into the heart of India. That mission ended Tuesday, when two men killed Dr. Dabholkar. He had been beaten by followers of angry gurus. Mourners filtered through the family’s home. There was a slight smell of incense. The killers left behind a few pieces of evidence. An atheist, he quit practicing medicine at 40. The list of banned activities grew shorter and shorter over the years. Narendra Dabholkar was a a former guru. His would duplicate miracles of false healers. 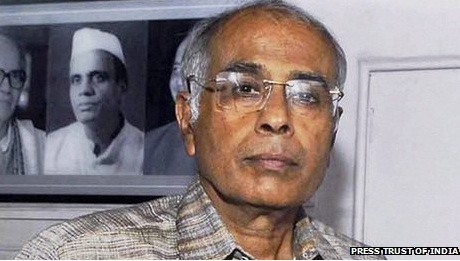 Narendra Dabholkar was killed by a man with a gun. Narendra Dabholkar visited President Obama. His wife always joined him on missions. Surveillance cameras show the two men lurking around a bridge waiting to kill Dabholkar. Friends and family described threats Dr. Dabholkar had received over the years from hard-line Hindu organizations. The room where he worked was bare but for a framed photo of his wife. Narendra Dabholkar had a happy marriage. 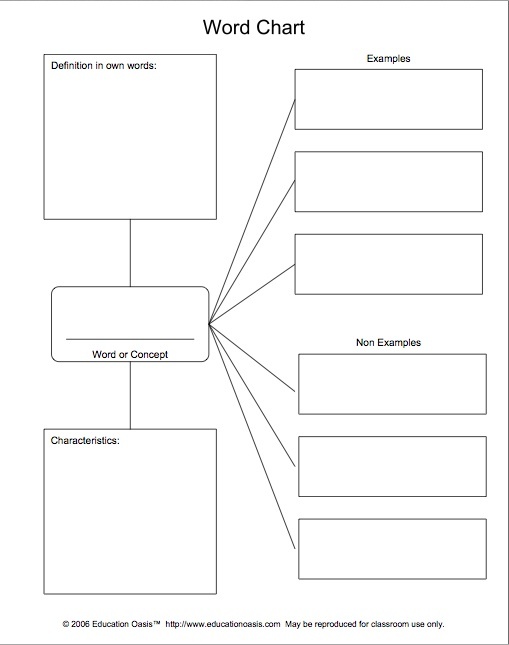 Directions: Have students use the WH-question format to discuss or to write the main points from the article. Who or What is the article about? Where does the action/event take place? When does the action/event take place? Why did the action/event occur? How did the action/event occur? The author begins by stating, “For nearly three decades, an earnest man named Narendra Dabholkar traveled from village to village in India, waging a personal war against the spirit world.” Rephrase this comment into your own words. Another comment, “ He was active on many fronts, from women’s rights to environmentalism, but the guru-busting received the most attention.” Explain in your own words what this means. 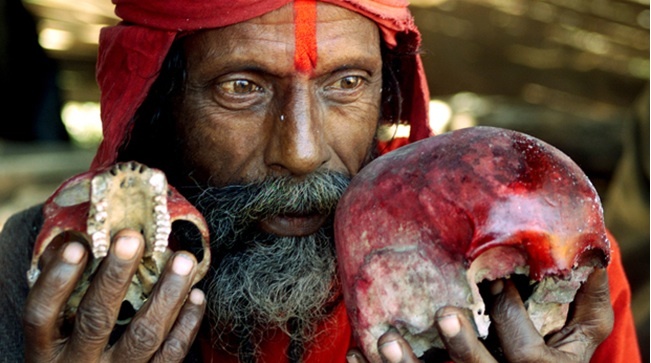 Are there people in your country who fight against spiritualism and superstitious beliefs? If yes, explain why, if no, explain why not. Do you believe that superstitions help or hinder people who are ill? Provide reasons for your answers. What are the most significant ideas in this article?